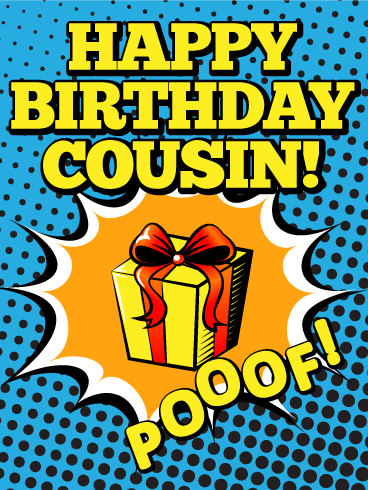 This fun birthday card for your cousin will certainly stand out from the rest! 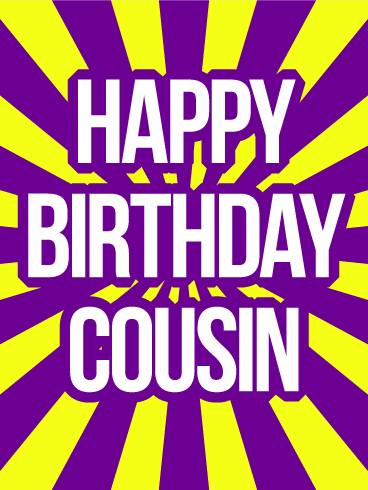 Funky yellow and purple stripes pop, as "Happy Birthday Cousin!" is displayed big and bold, front and center, to match their colorful personality! Even if you aren't there to celebrate together, you'll make your presence known with this unique birthday card!